NAMA's Northern Ireland portfolio is named Project Eagle. The entire portfolio was sold to Cerberus. The maximum sentence for lobbying NAMA is six months in prison or a €1,000 fine. Judge Martin Nolan said that it would be incredibly unjust to send the Anglo criminals Pat Whelan and William McAteer to prison for their part in a half-a-billion-euro illegal loan scam. Under the US Foreign Corrupt Practices Act, major companies have been fined hundreds of millions of dollars. The US Department of Justice served a subpoena on Cerberus on 7 September 2015. 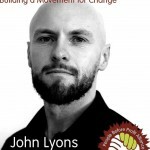 John Lyons is the People Before Profit councillor for Beaumont-Donaghmede, and also their Dáil candidate in Dublin Bay North.